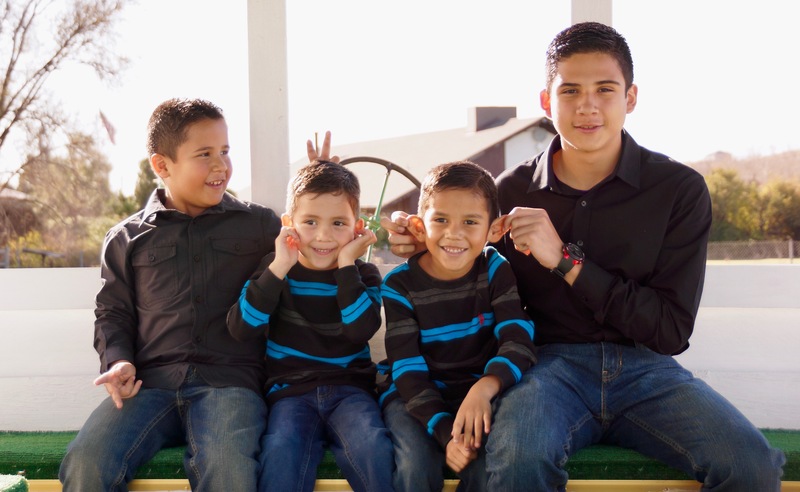 Family Photography – These four boys are the best! Saul and Lety’s boys are some of my favorite kids. These four boys are true brothers! We had so much fun together at the Adams County Historical Museum at the Adams County Fairgrounds just outside of Brighton, Colorado doing family photographs. These four not only are respectful and easy to work with – they also like to have fun! Saul and Lety, you have done a fantastic job raising these boys! Cooper’s Creek Photography was inspired by my love of the outdoors and photographing people and animals doing what they enjoy! Cooper's Creek Photography is a photographer based in Thornton, CO. Cooper's Creek Photography specializes in Family, Pet, and Event photography. Cooper's Creek Photography serves the Denver Metro Area, including Boulder, Golden, Arvada, Broomfield, Westminster, Erie, Thornton, Northglenn, Louisville, Centennial, Littleton, Highlands Ranch, Brighton, Frederick and Longmont. All photograph's on this site are the property of Cooper's Creek Photography and are copyrighted, no duplication or use of any photo will be allowed without the written permission of Cooper's Creek Photography. Although, many photos are available for use with written permission, please contact me for availability.